Seahawks linebacker K.J. Wright is addressing the issue of clean water in Kenya. Currently, 41 percent of Kenyans (19 million people) still lack reliable, safe water sources for drinking water. While on vacation in the Maasai Mara region, Wright witnessed the challenges faced by locals, especially females, when it came to collecting drinking water and decided to start a fundraising campaign with the goal of building two wells in the village he stayed in. 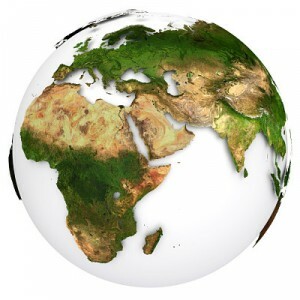 The availability of clean water has been a major issue across the globe. In July 2010, the United Nations deemed access to clean water and proper sanitation a human right. Yet in 2017, 2.1 billion people still lacked safe drinking water and 4.5 billion did not have sufficient sanitation services. Without safe management of sanitation services and wastewater from cities, businesses and farms, waterways are likely to be polluted. When these water sources are used by community members as drinking water, many health risks arise. Contaminated water and poor sanitation remain the most common reason for child mortality and are associated with diseases including cholera, dysentery, hepatitis, typhoid and polio. By creating the infrastructure for water services, an impoverished community can significantly reduce the number of preventable health issues. Clean water infrastructure, however, can be expensive. To build a single well in the village K.J. Wright visited will cost $20,000. In order to adequately cover the expense of two wells, Wright has set a goal of $50,000 for his fundraising campaign. He will personally be donating $300 for every tackle he makes during the football season, which has added up to $1,500 as of November 2018. He has also created an online donation page through Healing Hands International for individuals wishing to support clean water in Kenya. Women and girls are particularly affected by this problem because water sources are often miles away, and females are usually the ones expected to collect water for the family. Aside from the health impacts of walking great distances daily, the time invested in this chore also prevents many girls from attending school. Seeing this had a profound effect on Wright. Commenting on his trip to Kenya, Wright said, “I noticed this young girl had dirty brown water. So, I just wanted to help this community. The young ladies have to walk many miles twice a day just to bring back water, and when they do get the water, it’s not even clean. […] I just want to bless this community that blessed me.” By building these two wells, Wright will be helping these young women not only by reducing the time it will take to collect water but also by giving them access to a clean water source. Local access to safe drinking water will drastically alter the lives of residents and improve the overall health of the village. Clean water in Kenya is just one example, but celebrity efforts, such as the steps taken by Wright, can have significant positive impacts on impoverished communities. Fundraising campaigns and advocacy from public figures affect change quickly and can reach diverse audiences that otherwise would not be educated on issues of poverty, clean water, women’s rights and more. Wright plans on returning to Kenya next year and hopefully will continue supporting the world’s poor and inspiring others to take action as well. Libya, located on the Mediterranean coast of North Africa, has been marked by turmoil since the Arab Spring that occurred in 2011. Formerly a dictatorship, the country has undergone many changes in recent years. The top 10 facts about living conditions in Libya presented in the article below highlight what life is like in the country today. 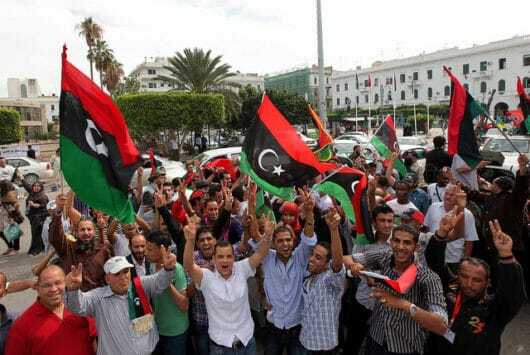 Libya is in a state of political unrest. Since the fall of former leader Moammar Gadhafi, the Libyan government has splintered into multiple factions, including two parliaments, two central banks, three potential prime ministers and multiple armed militia groups. Recent plans to hold general elections in early December have been canceled. Due to stalled talks between factions, the elections did not take place, but a recent summit in Palermo saw both factions recognized by U.N.- Government of National Accord and General Khalifa Hafter, who holds sway over much of Eastern Libya, open to holding elections in early 2019. A recent ceasefire in Tripoli is still active. The ceasefire, brokered by the U.N. in September continues to hold, with armed groups within the capital withdrawing from key locations. Libyan officials hope to replicate the success achieved in the capital elsewhere in the country. Libya relies heavily on its oil reserves. The country has the largest oil reserves in Africa and the ninth largest in the world, estimated at 48,363 billion barrels. Oil and natural gas are out of most importance for the country economically, accounting for about 60 percent of GDP and 82 percent of export earnings. Sadly, due to the current climate in the country’s crude oil production has fallen, from over 1,500 barrels per day before the 2011 war to 1,000 barrels per day in 2018. The current political situation and a drop in oil production have led to a high unemployment rate, but the situation is improving. In recent years, unemployment has been slowly but steadily decreasing, from 19 percent in 2012 to 17.7 percent in 2017. One of the biggest challenges facing the Libyan population is access to health care. As a result of the recent conflict, only four of the country’s hospitals are functioning at high capacity, and over 20 percent of the country’s primary health care facilities are closed. Improvements in health care are underway. The World Health Organization (WHO) has been able to distribute the first batch of essential medicines to multiple primary health care centers. The medicine will benefit an estimated 19,000 people for three months, and a second and third batch of deliveries are in the works. The life expectancy in the country is high. Since the middle of the 20th century, life expectancy has improved dramatically. In 1950, the average lifespan was just 52.9 years. Since then, the average lifespan has increased to 76.7 years in 2018. Unrest in the country has led to intermittent access to water. The country’s largest city, Tripoli, saw its supply of water cut off by armed groups twice- at the end of 2017 and in September 2018, with one such cut lasting nearly a week, forcing residents to rely on potentially unsafe water. Programs are in place to improve living conditions in Libya. The Government of National Accord, with the U.N. support, launched the Stabilization Facility for Libya. Through the program supplies such as ambulances, garbage trucks, solar panels and computers are being provided to schools and government offices. The program is also helping repair damaged infrastructure and provide education to millions across the nation. Although there is still uncertainty for the country’s future, these top 10 facts about living conditions in Libya show that there is a reason to believe things are getting better. Projects like the Stabilization Facility for Libya, the decreasing unemployment rate and the potential for new general elections all show that things are getting better for Libyan citizens. In 2015, the United Nations launched the Sustainable Development Goals (SDGs) to expand upon the progress of the Millennium Development Goals that were set from 2000 to 2015. Comprised of 17 goals, the SDGs address issues such as poverty, education and health with the overall aim of achieving worldwide peace and prosperity by 2030. Three years into the initial reports on the outlook for Sustainable Development Goals express skepticism that these goals can be reached at the current rate of progress. The problems in meeting these goals are described below. According to the World Bank, the rate of poverty reduction that more than halved the world population of people living in extreme poverty from 1990 to 2015 is currently in decline. The organization estimates that the annual rate of poverty reduction that was 2.5 percent from 2011 to 2013, will decrease to less than half a percentage point. The World Bank has also calculated that the bottom 40 percent of people in terms of income would need to see a yearly income increase of eight percent or more for the next 12 years in order to meet the first SDG of reducing the global poverty rate to 3 percent or lower. The report also notes that income growth never reached this height from 2000 to 2015, despite the notable progress in poverty reduction during these years. Although the information is scarce, the available data suggests that the current rate of progress in education is also too slow to meet designated targets by 2030. In its 2018 report, the United Nations International Children’s Emergency Fund (UNICEF) projects that at least 22 million children worldwide will be unable to participate in pre-primary education unless the current rate of progress doubles in countries that lag behind. Low reading proficiencies among 15-year-old adolescents are of additional concern. According to the same UNICEF report, 26 percent of countries and 36 percent of 15-year-olds need to see faster improvement in reading proficiency in order to meet the target for quality education. This is without accounting the 70 percent of countries and 61 percent of 15-year-olds for which there is little or no data. Mortality of children under the age of 5 will be reduced from 3,9 percent of live births to 2,6 percent, which is 1,4 higher than the target. The rate of stunting in children under the age of 5 will be reduced from 27 percent to 22 percent, which is 7 percent above the target. Basic vaccines will be available to anywhere from 74 to 90 percent of the world population, falling short of the goal to be accessible to all people. Neglected tropical diseases will see a decrease from 17,000 to 13,000 per 100,000 people, well above the goal of 15,000 cases per 100,000. Universal health coverage will be available to 72 percent of the global population, 3 percentage points higher than in 2017 but well below the goal of achieving universal coverage for everyone. While the outlook for sustainable development in each of these reports is not ideal in terms of the time it will take to be achieved, data trends still show progress, not regression, in development. With 12 years remaining, the United Nations is still in the initial stages of its 2030 Agenda for Sustainable Development. If the projections for 2030 fall short of the targets for the SDGs, they at least provide a better understanding of the extent of the resources necessary to improve the outlook for sustainable development goals going forward. In consideration of the data, the World Bank, UNICEF and the Gates Foundation have all called for increased investment in world development. As a specific example, the World Bank has invested $3.2 billion in education programs for girls between 2016 and 2018, exceeding a commitment of $2.5 billion. If all actors in the 2030 Agenda follow suit, the current outlook for Sustainable Development Goals does not have to determine the final extent of the world’s progress. The United Nations (UN) is a multinational organization that promotes universal human rights, encourages global cooperation and establishes international law and order among nation-states. The United Nations empowers women because they are the spearhead of social equality. The organization has made great strides in the fight against gender inequality, and the United Nations empowers women socially, politically and economically. Within Kyrgyzstan, the U.N. is teaching 15,000 young people to respect and appreciate gender diversification. The United Nations’ education program in the Chui region of Kyrgyzstan is tackling issues that impact girls and women. The program will consist of seminars that discuss a variety of different topics, such as violence, diversity and livelihood skills. The main objective of these discussions is to bring awareness through education, creating harmonious, respectful relations between men and women. They will enlighten the youth on both human rights and fundamental business skills, allowing the youth to grow together to form more inclusive economic, political and social initiatives for the present and future. Girls are facing many challenges within Kyrgyzstan. The United Nations empowers women by spreading a message of universal human rights. The country is adopting these morals in order to make a better tomorrow for the women of Kyrgyzstan. Several African countries are currently bringing an end to gender-based violence in education systems. The United Nations, Education International and Gender at Work founded “Education Unions Take Action to End School-Related Gender-Based Violence” in 2016, and the initiative continues to be implemented today. The United Nations empowers women in Ethiopia, Kenya, South Africa, Uganda and Zambia through this program. The goal of this program is to decrease gender-based violence within schools across Africa. Unions have banded together in order to strengthen the cause, learning that education plays a vital role in providing safety to young girls, boys and educators. Discussions and classes have proven to be effective in the fight against gender-based violence. Now, these unions are introducing a global campaign in order to educate the world about the challenges their communities face and the practices they use in order to decrease violence. The U.N. is hosting workshops in African countries in order to encourage education among girls. The United Nations Girls’ Education Initiative (UNGEI) has a vision for the year of 2030: an inclusive, fair education system that supports equality among women. The workshops across Africa will help with this vision. Called the “Gender-Responsive Education Sector Planning Workshop,” planners for the academic school year will learn about new ways to incorporate young girls in classes. They will also effectively and fairly include both genders in lesson plans. These workshops are sure to provide more opportunities to young girls through West and Central Africa. The U.N. is giving rural women access to digital technology in order to fortify their economic equality. Many women across the globe work in agriculture, yet they do not have the same property rights as men. The United Nations reported that rural women make up over 25 percent of the world’s population. Rural women provide the food for their communities, yet landowning and financing are just two liberties that they often cannot obtain; the U.N. is working to make that different. The U.N. is breaking gender barriers by giving rural women digital technology so that they can compete with men in the agricultural business. Women are now better able to access agriculture inputs and technologies for climate resilience. The indigenous women of Guatemala are further examples of how the U.N. is empowering rural women globally. These ladies participate in a joint program of many international organizations that help women become financially stable and independent. They are now saving money, which results in better conditions for their home life. Marta Vieira da Silva is now a Goodwill Ambassador, through which she can empower young ladies to accomplish their dreams. Marta Vieira da Silva is a Brazilian soccer player who now works for the U.N. as a Goodwill Ambassador. She has committed herself to helping young women achieve their goals, whether it is through sports, politics, medicine, business, engineering, etc. Vieira da Silva will work closely with the U.N. Women Executive Director in order to increase opportunities for girls in sports. If complete equality is to be reached, it means equality in all things—including sports. World leaders and international organizations view sports as an engaging way to strengthen gender equality and women’s empowerment. The United Nations empowers women of all backgrounds and proves that women can do anything if they are only given the chance. With continued efforts from organizations like the U.N., total gender equality is within the world’s reach. In a recent internal memo titled “America First Foreign Assistance Policy,” U.S. Ambassador to the United Nations Nikki Haley outlines possible aid cuts to nations that vote against U.S. initiatives within the U.N. It is suggested that foreign assistance programs should be partially contingent upon voting with the U.S. at the U.N. The memo comes in the wake of the United States’ motion to move its embassy to Jerusalem, a move that recognizes Jerusalem as the capital of Israel. As of today, only Palestine has received cuts in foreign aid assistance. This is largely due to the Palestinian Authority’s refusal to enter into peace negotiations with Israel. In the view of the Palestinian government, the United States has lost its position as the neutral-party at the negotiating table. A major element of Haley’s “America First Foreign Assistance Policy” is the direct link between foreign assistance programs and American security interests. For example, Iraq and Egypt remain exempt from cuts in foreign aid even though both countries have voted against the United States in the past on multiple resolutions. It is argued that continued aid to Iraq and Egypt is vital in protecting U.S. security interests in the Middle East. Countries not exempted from cuts who offer the U.S. little economic or security benefit could see major shifts in aid assistance. Specifically, American foreign assistance programs in Ghana, Vietnam and Zimbabwe are under fire. $4.9 million to aid in Ghana’s construction of schools, Vietnam’s $6.6 million climate change program and a $3.1 million job training initiative in Zimbabwe are highlighted in the document. Currently, aid programs for roughly 40 countries who have voted against the U.S. in the past are under review. In addition to the details of the “America First Foreign Assistance Policy” document, the State Department has put more than $100 million on hold in funding for the U.N. Relief and Works Agency (UNRWA). Another $100 million requested by the Bureau of Population, Refugees and Migration has also been denied. It is unclear as to why the funds have been denied or when they may be approved. With the recent release of U.S. Ambassador Nikki Haley’s proposal for major changes to American foreign assistance programs, there is much concern for countries that receive U.S. aid, most notably for nations viewed as nonessential to U.S. economic and security interests. Furthermore, countries that lack a track record of voting with the U.S. on U.N. resolutions could face serious cuts. It is unknown whether these policy changes will be formally adopted in Washington, D.C. The proposed changes have seen much backlash from both the Department of Defense and intelligence community. Ultimately, the American mission to eradicate international poverty and obtain global security is at risk. The debate over the efficacy of humanitarian aid in impoverished countries has been a hot topic in recent years. Some people believe that humanitarian aid breeds dependence, while others argue that it can exploit some of the most vulnerable people in impoverished countries. To provide better and longer-lasting aid, the U.N., the U.N.’s International Children’s Emergency Fund and the World Health Organization, among others, are taking a new approach to humanitarian aid. The new method, dubbed “A New Way of Working,” combines the short-term aid for emergency relief with long-term development efforts. The organizations are testing this model for development in Somalia, one of the more embattled nations on Earth. Whether it’s disaster relief or funding for infrastructure projects, foreign aid does help people who need it. Despite the horror stories in the news concerning corruption, mishandled aid only accounts for an estimated 9 percent. Not perfect, but not as bad as some purport. Many issues still plague not only the development in Somalia but in humanitarian aid and global investment around the world. One reason is modern humanitarian assistance finds its roots as a disaster response mechanism, whether it’s man-made or natural, and funds need to be spent within 18 months. Conversely, developmental aid sprung up as a result of colonialism and seeks long-term solutions such as education and agriculture, with funding plans structured in three to five years cycles. So, the projects needed to accomplish these varying goals are often very different. Somalia is a country recovering from a two-decade civil war and a 2011 drought that killed over 260,000 people. With the government declaring 2017’s drought another national emergency, aid organizations realized a different approach was necessary. In January 2018, the U.N.’s Office for the Coordination of Humanitarian Affairs (OCHA) and the U.N.’s Development Program (UNDP) set out to provide immediate assistance to those in desperate need of water. It also tried to identify the root of the emergency and establish projects that will allow everyday people to tackle the problem on their own when the next drought inevitably comes along. While this sounds great in theory, there needs to be a practical element for improving development in Somalia. The current drought has lasted three growing seasons and is killing crops and livestock at alarming rates, which precipitates into a nationwide famine. In response, the OCHA-UNDP project built a sand dam in Bandarbeyla. This dam allowed farmers to maintain their livestock, a vital resource for the agricultural economy in Somalia. Farmers say they can now save up the money they used to have to spend on water. Finally, these aid groups no longer have to focus solely on subsistence and can invest their energy and resources on education and security projects that will make Somalia stronger and more stable as it progresses as a nation. Where Will It Be Seen Next? The success of this project for development in Somalia is giving hope for other nations dealing with similar environmental and security-related emergencies. The world’s youngest nation has over 1 million people at risk of famine. Luckily, the massive humanitarian response has kept the situation from getting worse. Due to the Boko Haram insurgency, more than 5 million people need housing and food assistance. A brutal civil war has left more than 75 percent of the population in need of humanitarian aid. These three nations face similar problems to Somalia in that they endure a vicious cycle of drought and insecurity. The UNDP and other organizations are hoping to implement strategies similar to what is occurring in Somalia with the goal that “A New Way of Working” will allow these countries to flourish on their own.